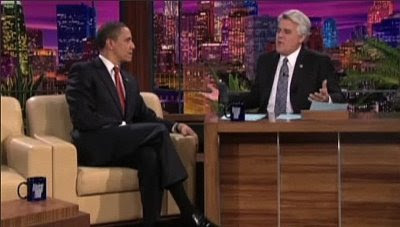 TNR -- TV News and Reviews: How Will Jay Leno's Move Affect Primetime TV? I'm a bit torn on this. On the one hand, its a breka from all those dram heavy, um, drmas that havef illed that timeslot and it's not a reality show, but on the other hand it just seems as if they're paying him to keep the network aflot until they can find the next ER and Conan and Jimmy get settled in with their audences and new shows. I think it'll work initially, but after like a new toy at Xmas, people will get tired of him, except for a few times here and there.